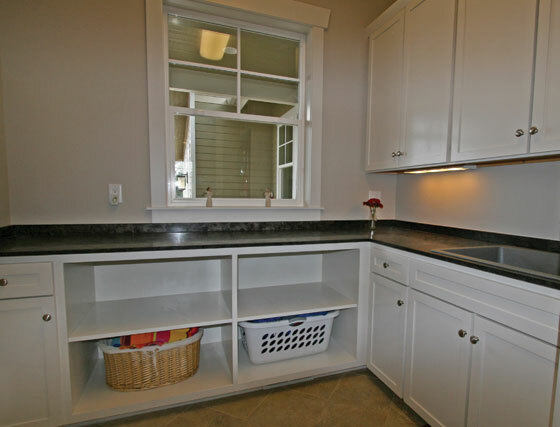 Rosepeak Kitchens custom makes quality joinery for laundries. 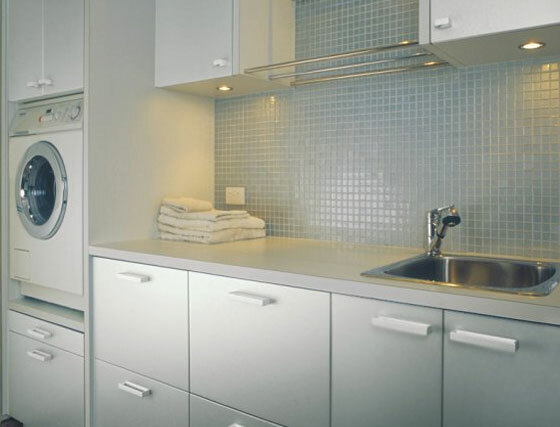 The laundry is often one of the smallest rooms in the house but it also one of the most used, so it makes sense to carefully plan your laundry renovation so that the room is as useful and as efficient as it can be. A room that's pleasant to work in, with adequate storage and all the mod-cons, will add value to your home and make one of life's more mundane chores just a little easier to cope with. The best laundries are organised like a production line, with space for sorting, washing, drying, folding and ironing. You can fit a lot into even a small space if it's well organised. 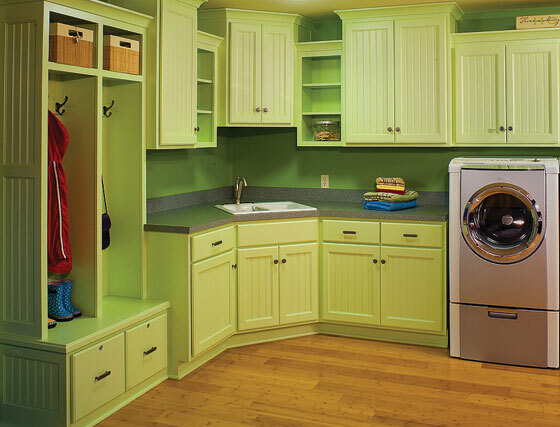 Laundries don't have to be cold, utilitarian spaces. Carry the colour schemes and finishes used in your kitchen or bathroom into the laundry to create a seamless look throughout the whole home. You can also replicate the kitchen benchtops and cabinetry in the laundry. Granite or engineered stone are tough, durable, easy to clean and look great. A hard-wearing glossy two-pack finish works well for cupboard doors. Adequate storage will make a huge difference to your working conditions in the laundry. Again, you can look to the kitchen for inspiration – those big under-bench drawers we're all keeping our saucepans in now are also perfect for stashing dirty washing away: have one for colours and one for whites. The fold-out ironing board is always there when you need it, and tucks away neatly after use. A pull-out washing line can also be convenient in case of wet weather or for drying delicates, and don't forget to put a few hooks on the walls for clothes hangers and towels.